In the aftermath of last week’s pipeline explosion in San Bruno, civilians and government officials have probed the cause of the blast, and what, if any, responsibility the utilities company PG&E had to improve safety standards in the years leading up to the accident. A Wall Street Journal report today indicates that the company may have a history of ignoring safety standards required by an independent government audit of the gas industry. This serves as further indication that PG&E may have been negligent leading up to the San Bruno pipeline explosion and indicates that the company could be vulnerable to lawsuits similar to those that GJEL handled after a 2004 pipeline explosion in Walnut Creek. “We take a proactive approach to the maintenance of our gas lines, and we constantly monitor our system,” said PG&E spokesman Andrew Souvall. “If at any time we identify a threat to public safety, we act to repair it immediately.” The statements of San Bruno residents don’t reflect that this is, in fact, PG&E’s modus operandi. 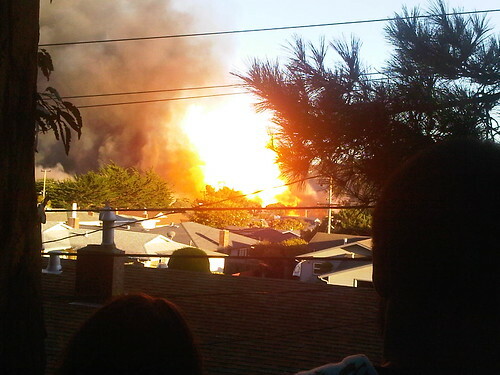 For weeks before the San Bruno pipeline explosion, residents said they complained to the company about a smell of gas and PG&E employees told the community to close garage doors and stay inside while they investigated. As always, our thoughts are with the community of San Bruno and the families of those affected by last week’s tragic pipeline explosion. Check back for updates on this developing story.